Welcome to my world of makeup, sweet scents and real talk. You should always have a cuppa to hand and sit back and enjoy a little snippet of my world! A beauty and lifestyle blog for all, but as I like to say it's also 'brown girl friendly'. 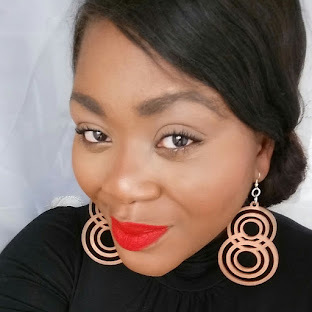 As a brown beauty myself I ensure that all product reviews that are complexion based really show what works on a deeper skin tone as well as showing what's being catered for brown beauties! MUA LUXE | SHIMMER SHEETS | ROSE GOLD - THE TRAVEL FRIENDLY HIGHLIGHTER?! THE WEDDING DIARIES: I'M GETTING MARRIED! MUA COSMETICS BURNING EMBERS PALETTE & HIGHLIGHTERS | UNDER £10 DRUGSTORE DUPES?! NEW MAC EXTRA DIMENSION SKIN FINISHES | SHOW GOLD & BEAMING BLUSH | IRIDESCENT HIGHLIGHTERS?! NATASHA DENONA EYESHADOW PALETTES | ARE THEY TRULY WORTH THE HYPE? !